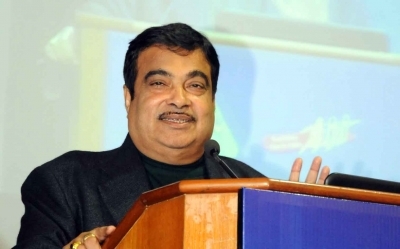 Government to develop 15 multi-modal logistics parks Union Road Transport, Highways and Shipping Minister Nitin Gadkari. New Delhi, May 15 (IANS) The government is planning to develop multi-modal logistics parks at 15 locations all over India at an estimated cost of Rs 33,000 crore, said an official on Monday. As part of the plan, the National Highways Authority of India (NHAI) on Monday inked a Memorandum of Understanding (MoU) with the Tamil Nadu Industrial Development Corporation Ltd (TIDCO) to develop one such park in the Ponneri Industrial Node area near Kamarajar port in the state. The MoU was signed in the presence of Road Transport & Highways and Shipping Minister Nitin Gadkari and M.C. Sampath, Tamil Nadu Minister for Industries, an official release here said. “It is an important agreement for the development of an integrated, multi-modal transport infrastructure in the country,” said Gadkari while speaking on the occasion. The Ministry of Road Transport and Highways is planning to develop multi-modal logistics parks at the 15 locations under its Logistics Efficiency Enhancement Programme (LEEP). The proposed logistics parks, the ministry believes, will bring down the overall freight costs, reduce vehicular pollution and congestion and will enable reduction of warehousing costs. All this is expected to result in lower logistics costs.